What is Noise or Grain? Arrrgh! I can't keep up!!! How does Sir (or Madam) dress? Kodak Cease Production of their Pro SLR Range – A sign of the times? Is Digital the Way to Go? ​I have now uploaded around 500 digital stock photography images to various stock libraries​. From reading copious forum entries, there is one thing I have found that is all important and critical for you to be successful. That is your correct use of keywords. Quite unknowingly, and even after reading the guidelines, I have had pointed out to me, one or two mistakes. Mistakes on my own use of keywords. One person even accused me of "spamming"! Being fairly new to the internet, I was unaware of what "spamming" meant. For anyone who is also unaware, This is what it means (basically). "​Using any means or measures in great quantities, to enhance the chances of "advertising" or promoting your goods or services." A better definition is here at Templetons.com. Your keywords should, simply put, describe "what you see" in the image. Also, any "emotions" relating to that image should be portrayed. Therefore, think of what a person is looking for when searching for photos or artwork​. If it relates to your photograph and your image has a visual interpretation of that word in it, include it. An example of spamming would be to include the keyword "beach" for a shot of a swimming pool. The images are closely related but the image does not have a beach in it. This would be perceived as trying to get more "hits" to your images by lying about its content. ​Falsifying data in order to get your gallery seen by more people. Even if the pool was next to a beach, if you cannot see it, do not use this keyword! I have more guidelines on how to get your photos "stock ready", and also some good agencies to start out with on my main site. Please go to All Things Photography - Selling Stock Photography. So, you have heard the advice, read the negative replies at the photography forums, listened to your friends but nothing has put you off! You have still decided to accept your friends request to be the official wedding photographer at their wedding, it is your first! We all have to start somewhere​. However, I hope that you have at least been to a wedding before and know the set-up? If not, please refer to this advice and take heed, assuming that you have time to do what I suggest. You may or may not really understand what is expected of you, this is a big day. I don't want to sound patronising as though I am talking to a two year old, but this can be one of the most stressful and tiring days of your life! How do you cope with it. The plunge has been taken. You have agreed to give the happy wedding couple the most important present that they will receive for their wedding the photographs! Even if you are being paid, this will be what they look forward to seeing on their return from their honeymoon or honeymoon period. It is down to you. The reason I am writing this today? I have spent most of today (my birthday in fact) preparing for a wedding tomorrow. 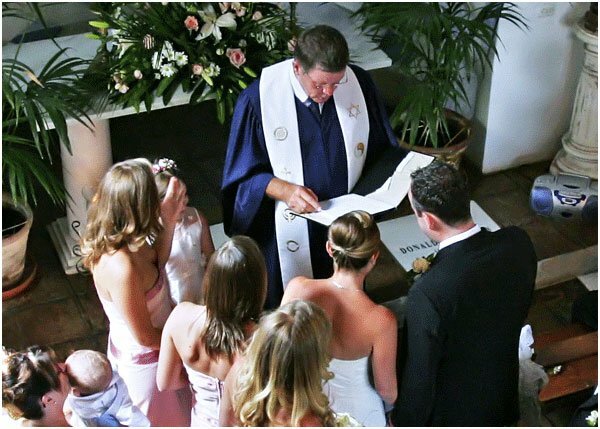 If you haven't done so already, make sure that you go along to the wedding rehearsals and study them carefully, take notes! Can't make this, or they are not having wedding rehearsals...do some for yourself. Take one day out of your time and do EVERYTHING as though you were actually doing the wedding. Today, I went to the couple's house, drove to the church and timed the run. Once at the church I looked at the lighting at around the time of day they will be getting married. This is so important as it will give you an idea as to where to place people for group shots or special shots etc. I also checked out and found some fantastic locations nearby for some great shots of the couple after the ceremony (make notes, or take some practice shots). Get in the church, see where you can place your camera and tripod, and where you can to and fro without being noisy or intrusive (make notes or take some practice shots). Next, drive to the reception area and again, time the run looking for the shortest route possible. Is it on a Saturday? What is the traffic generally like on a Saturday? Where should you park for an easy getaway? You don't want to be stuck behind Auntie Flo as the couple are already half way to the reception!!! (Yes! Make notes or take some practice shots). Once at the reception, again, look for some nice areas for those special shots. Where is the main table going to be? Do you have access or a good angle for shots during the speeches and cutting of the cake? Have you made a list of the "must have" shots that people want? Do you have a list of the names of the main party? The couple, parents, bridesmaids, best man, ushers and great gran that has flown in from the moon to be there. Make a list and keep it with you on the day. A week before, check all your gear, do you have enough? Do you need to borrow or buy anything? Have you got spare batteries for your camera and flashgun? What about a spare camera and spare flashgun​? What about a tripod, more than one lens, filters, spare film and CF cards LOTS of spare film and CF cards! Do you have smart but comfortable clothes and especially shoes (it will be a long day). ​​What about sufficient carrying equipment (an assistant is VERY good for this)​? Have you cleaned your camera and lenses thoroughly, cleaned them again and checked that they all function correctly? If yes! Well done, do you want to do MY wedding tomorrow? Just kidding, this may sound like a huge list but it is vital. Once you have done all this and you are sitting there, the night before. The wedding, clothes neatly ironed and all gear ready to go. Take a deep breath, pat yourself on the back and get a good night sleep. The next day, forget your fears; try not to be nervous, it is too late now! Just get on with the job in hand and enjoy yourself. Smile, be happy, make them happy and hopefully you will come out the other end unscathed! For more information on preparing for a wedding shoot, go to Wedding Photo Tips For Amateurs at my main site. Wedding Photography...Never Again!!!! What a very tiring day. The summer has started here in Spain with a vengeance. Having two SLR's complete with heavy "L" glass lenses, a photography jacket full of accessories and a cumbersome tripod makes for weary body parts at the end of a long day. As I always say when taking photographs at a wedding, use an assistant. Even if you lose out a bit financially the gains GREATLY outweigh the losses. Try not to do everything yourself. Have a bit of faith in the people around you. If you don't have an assistant, use the ushers as much as you can. Preparation for the day worked a treat and the places that I wanted to go were easily accessible and the sun shone perfectly for us. The day went without a hitch and after having had a quick skim through all 1,250 images, it would appear that around 90% are good. I must say at this point that I used a new camera for most of the shots (Canon EOS1D MKII) and cannot quite believe the sheer quality and reliability of this piece of kit. After a full days shooting and reviewing, the battery was not even showing half depletion at the end of it all. I will definitely be writing an article on this in the near future. Neat Image, the noise reduction software, has recently had an upgrade to V.5.0/Win. So, check your current version, if you own one. If you have earlier than v.5.0 you can download the free upgrade by visiting their website (below) and logging in using your original license information. Chances are you won’t need this information because I logged in and a cookie on my PC had the info stored anyway. So, I simply uninstalled the old version and re-installed v5.0. The update will noticeably improve the quality and efficiency of noise reduction to your images. It will also integrate better with the latest image editors such as Photoshop CS2 for which its plug-ins are fully compatible. The newer version also has improved image viewers plus preset matching, profile quality indicators, new command line format with other optimisations of all the underlying algorithms. I have used the pro edition for some time now and am still amazed by what Neat Image can do. ​Maybe you shoot digitally and have never seen it in action before or don’t fully understand what it does​? If so, I suggest a quick visit to their website (below) for a tutorial. There is a free demo version that I can guarantee will not fail to amaze you and have you upgrading to the full version in no time. At the wedding mentioned earlier in this blog, the church was so small (seats 50 MAX) that using flash would have annoyed the hell out of people. It would also have blown out a lot of highlights. The ceiling was too high to bounce the flash and due to the amount of people. There were (100) “crammed” into this small church and a tripod was impossible and impractical to use. So I shot hand held in available light at ISO 1250 and the images are natural looking, well exposed. After running them through Neat Image, they are also clean! I am more than happy with the results from such a "tight" situation. The noise or grain in images usually comes from using high ISO settings, poor editing or can appear in shaded or uniform areas after sharpening. If you ever shot with high ISO film such as ASA400 or 800, you will know what I mean by grainy images. Many stock libraries require the use of noise reduction software before they will accept images. For more info on preparing stock images see The Required Standards for stock photography. If all of this is a bit overwhelming in terms of ease of use, don’t worry. Neat Image is as automatic as you want it to be. You can just load an image, make an auto profile, hit OK and the noise is reduced according to its own algorithms. Neat Image is renowned for its noise reduction quality and is used by photographers everywhere. It is a tool that turns their noisy photographs and "grainy" scans into clean and neat digital images. Since the start of digital imaging, noise and digitized film grain have been an unwelcome part of many digital photographs and scans. This is due to the imperfect physical nature of underlying light capturing processes. Hardware manufacturers have always tried to improve these processes fairly unsuccessfully. However, Neat Image software is designed purely to work with any available output produced by such modern hardware. For example, noisy, high ISO digital shots and scans from grainy film. Neat Image can greatly improve the visual quality of these digital images by reducing the unwanted noise and grain while at the same time keeping the real image details. Neat Image was first introduced to the market in 2001 and soon became the absolute standard in noise reduction for our digital photography. Mainly thanks to its top quality noise reduction techniques delivered by the tool. This enhanced noise reduction has been possible by using "device noise profiles", a novel and unique concept originally made by Neat Image. Using device noise profiles makes noise reduction more accurate by processing custom-tailored information from an imaging device. Neat Image will run in Windows as a standalone program and/or a Photoshop compatible plug-in. ​​​Arrrgh! I can't keep up!!! Is it just me or is trying to keep up with the comings and goings of the digital camera world becoming impossible?!! I receive daily alerts from various websites around the world. I'm constantly reading about "This Company in trouble" or "That Company releases 2 new 5 Mega pixel camera models". Where will it all end? I can’t remember the last time, if ever, that I released an alert for a film camera being released!? When I first started in photography in the 80's it was so easy. I couldn't afford any of them but I did daydream about owning them. It seemed that only now and again, one of the big companies like Canon, Nikon, Olympus, Minolta or Pentax (Ahhh! Pentax "K" mounts), would release a new model that would have me drooling. There was no internet, no RSS feeds to bombard me with info, no news alerts from Google. All we had was one or two monthly magazines that would splay images of brand new releases over their pages. So for those of you looking to buy a digital camera (whether DSLR or compact), what do you do? How do you do it? For me it is easy. Firstly, I have over the last few years, chosen and stuck my loyalty to one manufacturer, Canon. This immediately makes life a lot easier. Also, I now shoot professionally which for me has now narrowed the choice even further. The Canon EOS 1ds MkII, EOS 1d MkII and the EOS 20d. I currently own the 1dMkII and 20d (relegated to a very nice backup), but still daydream over the 1dsMkII (we still need our dreams)! I also have a selection of lenses that should (as long as Canon doesn't change the mounting) last me a long time. The current top of the range DSLR's are now equal to if not better than film SLR's so no matter what is released in the future, these "should" suffice for a long time. I have never printed anything larger than A1 in my life and even the 20d has produced some exceptional looking A1 prints, especially on canvas. Oh! Ding Dong! RSS News alert received. "PENTAX Announces Three New Optio Digital Cameras"...see what I mean? Anyway, my point was where do you start? The main points being, once you make your choice, stick with it, learn from it and enjoy photography as photography, not just for the technology or "pose" factor! Have you ever thought about the impact the way you dress has on your customers? If you are in any way earning money or wish to, be it part or full time from photography, the way you appear to your customers is paramount. First impressions really do count in this trade! If you look smart and organised, then your clients will assume you treat all of your customers and jobs with the same care and attention. If you look too casual and carefree, then just maybe this is how you treat your work. Is it worth the compromise? I always used to like the idea of being a "real" photographer and dress any old how. Maybe old torn jeans, a granddad shirt and trainers (or sneakers to our friends over the water). My first experience of a professional photographer was when I took an apprenticeship at 16. It was with a very well known local photographer in my home town. He was well known for being seen in an old pair of jeans, old shoes or trainers, the same old jacket and a flat cap. It was his trademark, even when shooting the school photographs at my school. Back in the 80's, in a small town where you had been photographing all your life and knew practically everyone, you could get away with it. But now, in this small world with a wealth of fierce competition, you have to pull out all the stops to make that impression stick! Even if you are meeting a client before you have the job, the preliminary meeting, look smart! You can bet your bottom dollar that you are not the only photographer they are seeing, especially if for a wedding. You can also guarantee that the other guys would have made the effort. You don't have to meet up with full dinner attire or a tuxedo, just smart casual with an attitude to match. A customer will make his or her mind up about you in less than a minute believe me. It all comes down to how you look, how you meet and greet them (BIG smile), and how you come across in that first minute. It may all sound a bit stuffy but put yourself in your clients shoes. You have seen maybe 6 photographers, all with the same high standard of pictures. All polite and keen to get the job, but just one made the effort to dress well for the meeting in the local pub. I know who I would choose. The person that makes the effort for a simple meeting, is almost guaranteed to make more of an effort on the day! It is all about professionalism and paid photography is a profession. I will, in the near future, be covering a section on how to present your work and portfolio for clients in order to get that job so stay tuned. This is another very important area where first impressions count! Kodak announced a couple of weeks ago that they are discontinuing the manufacture of their Pro DSLR range​. The DCS Pro SLR/n and DCS Pro SLR/c with Nikon and Canon mounts. They have assured that any owners of these DSLR’s would still benefit from Kodak's support team up until the end of 2008, including any necessary firmware and Photodesk upgrades. Kodak will still research and develop CCD and CMOS sensors and stressed that this announcement will not affect their consumer digital cameras. This also won't mark the end of their Digital SLR range​. They pointed out that they simply wanted to concentrate on more profitable market segments. When these Kodak cameras first appeared, my first impression was good. They looked good with great features including an impressive pixel count and ISO range (including ISO 6)!!! On closer inspection, I thought they were a little bulky back end​. At the price they were, you may as well splash out "a little" extra and get either a Nikon or Canon Pro Digital SLR to match your lenses and which also had more speed and more useful features. Not once did I personally consider one of these cameras purely for the reason that if I had Canon lenses​. Why would I buy a third party camera when I could get a Canon pro or semi pro Digital SLR for a similar price? I guess they were always doomed. Is it then a sign of the times that the high end Pro Digital SLR market is narrowing even further? Every time I look at the forums at camera sites, the two old favourites crop up time after time…Canon and Nikon. This is by no means an intensive survey, but to a manufacturer the people are what matter...the consumers. The figures above show quite clearly what people are talking about with the leader's way out in front. A pure reflection on what the consumer wants and is buying at the moment. So what does the future hold for the high end Digital SLR's? With more and more people turning to digital, they will search the web for ideas and inspiration as to what to buy. They ​are inundated with information on the 2 market leaders. Why would someone coming into digital photography as a newbie go for a lesser brand (other than cost and their lens collection) when there is so much information and support on line for these 2 giants of the Digital SLR marketplace? Should Sigma stick to what they do best, producing fine 3rd party lenses and Speedlights? Should Fujifilm and the rest concentrate on the compact digital and advanced compact digital market along with their media (digital film) production? I guess not as we always need healthy competition and the rest of the bunch will always have their diehard fans. With the expected Digital SLR boom expected over the next couple of years it will be interesting to follow. Who knows, maybe Olympus will fight back with the most outstanding Pro Digital SLR ever made? What a coincidence. After posting yesterday, the news of Kodak's decision to halt production of its Pro Digital SLR range, Kodak then announced that it is to stop production of all its black and white paper manufacturing. After a whopping 117 years in the black and white paper business, and due to a significant decline in its usage, production of all B & W paper will cease forever. However, they will (for now) still produce black and white films and the necessary chemicals needed to develop and print the images. Most of the product range will remain available until supplies are exhausted which should be around the end of 2005. For anyone who, in the past or even still, has worked in a black and white darkroom, this is quite sad news​. It really does indicate a sign of the times! I still have fond memories of toiling away in my home-made darkroom printing endless "tat" as a mad keen 14 year old​. Although I did always use Ilford paper! Some people are saying that the "end of film photography" is approaching faster than expected. I have always thought that this may happen. Any manufacturer worth his salt would realise that digital, like it or not, is the way forward. At the end of the day this is a business and to stay in touch and "in" business, you have to give the customers what they want​. Quality, speed, efficiency and cost effectiveness, and this is what digital can offer over film. Ho Hum! Reminds me of the introduction of DVD's and the death of vinyl in the 80's...and yet the world keeps spinning. RIP Kodak Black and White Paper. Long live Kodak Professional Inkjet photo paper! ​The arrival of summer is happening in most countries​. A lot of budding photographers are going to want to shoot beach scenes, sunrises, sunsets and generally "sunny" shots. It is funny though that people seem more worried about the effect on their camera than that of their eyes. I have read quite a few forum posts that ask if aiming your camera directly at the sun can damage it. Within reason and without getting excessive, I would say no. The sun shouldn't damage the sensor on most digital cameras but there is a couple of things worth knowing. Firstly, you may see either some "hot pixels" appear in your photos. These hot pixels appear as over bright pixels in darker areas of the image and are normally green, red or yellow, and are caused in various ways. Long exposures, for example, can cause the appearance by almost overworking the pixels. Most cameras, over time, develop one or two and are rarely noticeable. They can also be caused by the rise in temperature of the sensor. This is due to excessive exposure to the sun and its heat (75 degrees approx) so have a break in between shots. Hot pixels can easily be removed in Photoshop and are generally no cause for alarm. When you get into the realms of 8, 11, 16MP the chances are obviously greater as you have that many more pixels​. Although the better technology and development from the pro cameras would, I would have hoped, kept these at bay. For more info on these naughty pixels, check out Digital Camera Experiments (site gone, link dead). If you intend to have the sun as a major feature in your shots, it is important to protect your eyes. You can either use a polarizing filter on the lens to lessen the glare or wear sunglasses when looking through the viewfinder. Another great tip is this. The chances are that you will get a small aperture from your cameras metering when aiming at the sun​. If your camera has the function, use the "Depth of Field Preview" button. This will shut the aperture to its smallest point thus dulling the effects and brightness of the sun while you compose and shoot. Also, using a telephoto lens will give the impression of a huge sun, especially if you have some foreground interest​. However, beware​ because the telephoto will also magnify the harmful effects too. Lastly, when looking through the viewfinder, try not to look directly at the sun​. You know it is there and by looking around it, you will lessen the chances of damaging your eyes. In these days of "I want it now and I want it cheap", more and more gimmicky gadgets and gizmo's are hitting the shops. The are tempting us with their technology based marvels. Ritz camera stores have now unveiled a new disposable digital camera at a cost of just $11 with printing charges of another $11 for 24 6" x 4" photos. On the face of it this looks like an incredible deal at such a small cost but is it really worth it? My initial impression is that this goes against the whole point of the progress of digital photography​. That is to have a camera that you can use again and again for NO cost once you have bought the camera and memory card. With disposable cameras, no matter how cheap they are, you have to buy again and again​. You will eventually spend the same as if you were to buy a proper, fully operational digital camera. ​For people that rarely take photographs (Gran, kids etc. ), this is fantastic. You can give one of these to your toddler, maybe as a gift, to practice with and not worry about it being damaged. It is amazing to see what a child sees when they take a photograph, it can be quite moving. At a cost of just $22, your child will love it to see their efforts in print without giving you a heart attack as they get creative. A big plus here for me. ​For those that like to take a camera on a wild night out, but fear that after a few drinks, the camera may get lost or damaged, this is great. At the cost of a couple of beers (in the UK anyway) this is much safer than risking your Cybershot or Sureshot just for the sake of recording your best friend doing something they really shouldn't! Again, another plus. ​​In a similar vain, these may be ok for the occasional holiday, assuming the quality is reasonable. Ski-ing for example, is fairly extreme and could damage your camera after a nasty fall, either from the impact or getting wet. Myself and some friends once used film disposables for fun as we jumped from a plane at 13,000 feet. Unfortunately, the shutter speeds from these cameras were not fast enough to record our crazy japers! ​​The cameras are fully recyclable so they are good for the "green" issues in today's disposable world. For a lot of people, these benefits are enough to start a craze of sorts with these new cameras. But before you go ahead, what about the downsides? ​If you are a regular "snapper", it is much more cost effective to buy a half-decent digital point and shoot. You will save bags of money in the long run. ​People don't always want to print their images. Many people nowadays like to email the pictures to friends and family around the world. Although you do get a disk with the images on, you still have to have them processed first, at the lab where you bought the camera. ​Even though the cameras are disposable, by printing 24 images from each camera, every time, it goes against what I covered in an earlier blog about saving on ink, paper and chemicals. With "real" digital cameras, for want of a better word, only about 19% of people actually print their images, supposedly because of the complexity, knowledge and equipment needed. ​Image quality is relatively poor and if you want larger prints, forget it. Even though the camera uses a CMOS sensor like in the more expensive cameras, they are very small with poor resolution, so don't go expecting great things (yet). So, is this new thing simply a way of shops "cashing in" on the fall of sales of film disposables? Is it just a fad that will disappear with time? I don't think so. Like everything else, they will improve with time (they already look "quite" good) and as I said, for people who don't use a camera often, they are perfect. My advice? For what it is worth, if you are new to photography and want to have a play, get one. You are guaranteed to see your efforts in print which is fairly rare these days, and a print can look so different to a PC screen. If you are a bit more serious about photography, the quality may put you off. Buy a reasonably priced 2 or 3 megapixel compact digital camera to start with. You will be able to take a lot more images and will save money over time. For more info on compact digital cameras go to Digital Compact at All Things Photography. Check out the Olympus Style Verve, a fantastic camera to start out with! RIP film disposables, long live digital disposables?